The panel works with ICE staff to help deliver a wealth of civil engineering knowledge, including influencing global development policy, capacity building oversees, and best practice material from successful projects in developing countries. The International Development panel is made up of a variety of industry experts. Find out more about our panel chair and details of the panel's members. 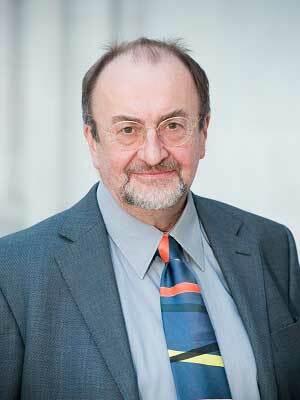 A former President, Paul is Professor of Civil Engineering Systems at Heriot-Watt University. He chaired the ICE Presidential Commission 'Engineering without Frontiers', examining the engineers' contribution to meet the UN Millenium Development Goals. He is currently chair of 'Engineers Against Poverty'. Dr. Ron Watermeyer Infrastructure Options (Pty) Ltd. The panel is working on how ICE can introduce the foundations of professional development to overseas institutions. It will also be collaborating with other ICE expert panels to address the expected city-population growth and the demands on infrastructure, as well as the impact of climate change in developing countries. If you have a question for our International Development Expert Panel, are interested in adding your input to the panel, or require details on the panel's output, then let us know.